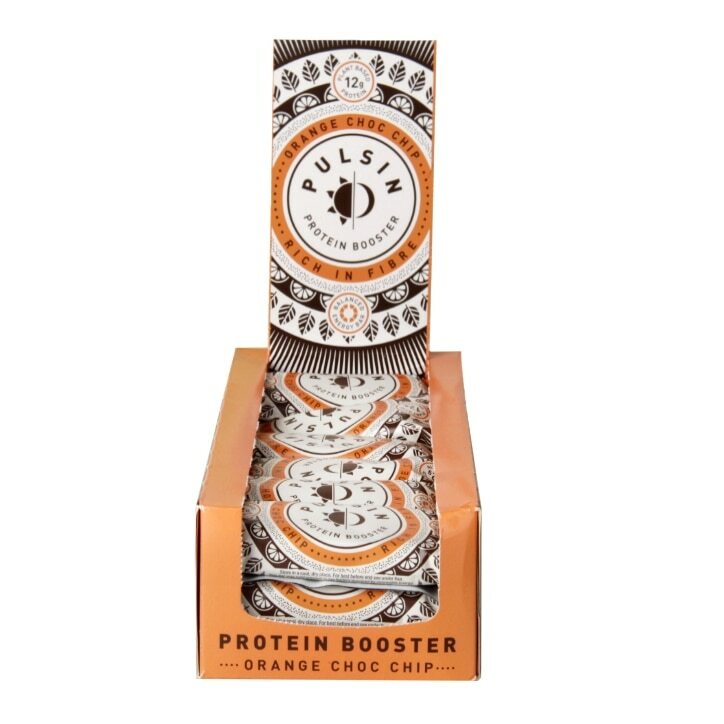 Pulsin Orange Choc Chip Protein Booster is rated 4.7 out of 5 by 6. Rated 5 out of 5 by Swimming M from Easy to eat and tastes good too Nice protein packed bar and good flavour. Also the other flavours are good too. Choose your favourite! Rated 5 out of 5 by MAT4 from Tasty Bar Tasty bar, good size and no ill effects. Great for post workout snack. Rated 4 out of 5 by Angel_annie07 from Delicious I brought these to try as a high protein, sweet treat. They’re very tasty and work well to curb those sugar cravings as are very filling.